From rodeos and restaurants to Beyonce and Bun B, Houston is by far the best (and most charitable) city in all of Texas. Located deep in the heart of Texas, Houston is home to the largest food bank in the country with volunteers as devoted as Hakeem Olajuwon during the NBA Finals. 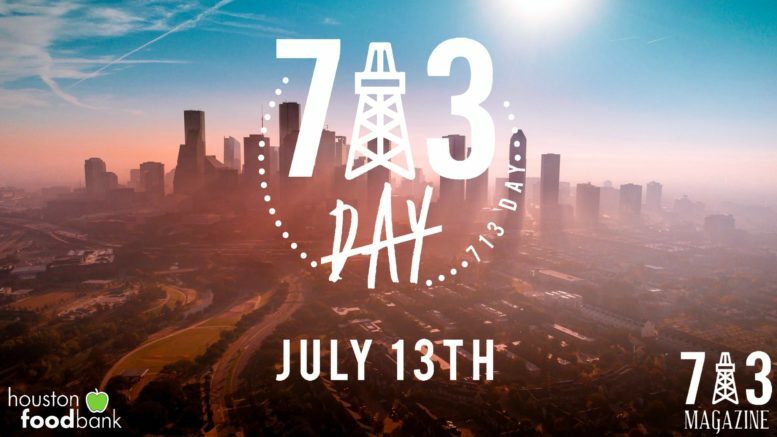 Celebrate all the great things about the Bayou City while giving back to our own community with 713 Magazine and The Houston Food Bank’s 713 Day! This special event will consist of a short volunteer shift followed by a social hour featuring your favorite Houston artists, DJs, slabs, drinks, food trucks and more. Word on the street is that the artist lineup is going to be insane. Buy tickets online here. Be the first to comment on "713 Magazine announces 2nd annual 713 Day event with Houston Food Bank"